World Leprosy Day is the major date in the leprosy calendar. Every year on the last Sunday in January (in some countries this is extended to cover the whole of the last week in January) the whole world has a chance to stop and consider those people who are affected by leprosy around the world. It is an opportunity to celebrate the many stories of hope, transformation and restoration that have been achieved as The Leprosy Mission, and many other organisations, take steps towards achieving our ultimate goal of Defeating Leprosy and Transforming Lives. It is also an opportunity to grapple with the scale of the problem that still exists around the world. In Scotland we encourage churches across the country to hold their World Leprosy Sunday during a service that suits them any time between January and April. To help your church do so we produce a range or materials that vary year on year to meet the needs of churches who have used previous years packs and told us what they find particularly useful. 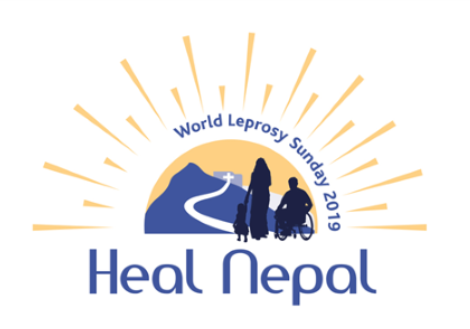 For World Leprosy Day 2019 The Leprosy Mission in all parts of the UK are co-operating on an exciting campaign to Heal Nepal. This campaign will transform the care available to people affected by leprosy in Nepal. From 27th January to 27th April your church can join others all over the UK by holding your World Leprosy Sunday service. On the Heal Nepal website you can order the resources you need to help your day be as successful as possible. Once you have ordered your resources, you can book a speaker for your event. Hurry as spaces are limited! The focus of World Leprosy Sunday in 2018 was to break the chains of leprosy in Africa, with a special focus on Angola. People affected by leprosy in many parts of Angola still experience terrible discrimination because of their disease and they have very few places to turn for help. Our partners SOLE Angola and ARPAL are crucial to both tackling the disease itself, and the stigma and discrimination that results from it. By holding their World Leprosy Sunday, churches across Scotland stood alongside those in need ensuring that help is available when it is needed.